When you want proof of how far ear piercing has come, look no further than the tragus piercing. 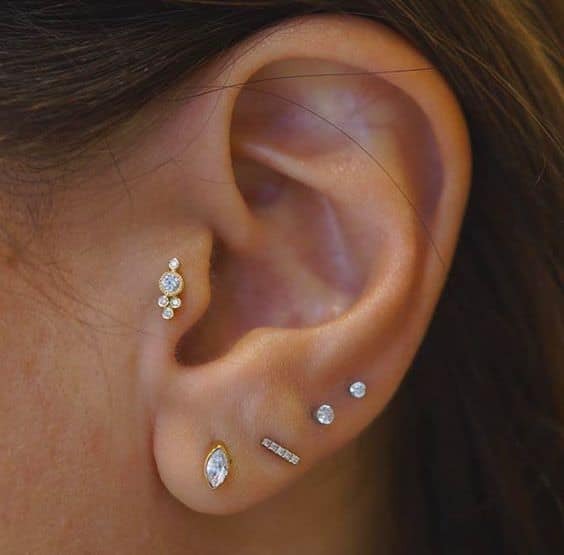 This once uncommon piercing has definitely hit the mainstream and all types of people are using it to customize their looks and express themselves. However, tragus piercing costs still confuse many of those who wish to take the plunge. Simply put, it's a piercing through the small cartilage flap you'll see just outside of your ear canal. 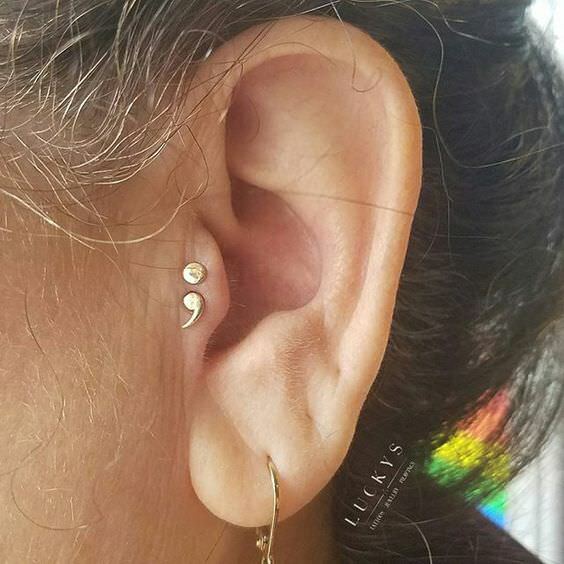 Not only do tragus piercings look great and attract attention, but they're especially easy to maintain once you're past the initial healing period, too. Let's take a look at the cost of a tragus piercing and what you can expect when you get one. Tragus piercings may look a little different than other ear piercings due to their location, but the factors that influence the price that you'll pay to get your piercing done are very similar to what impacts other piercing prices. First and foremost, the experience level of your body piercer will make a huge difference in the price that you pay. While it's true that you don't have to pierce ears for decades to understand how to do a proper tragus piercing, you certainly don't want to hand over the responsibility to someone who is just starting out, either. The studio's location and popularity level will also help determine the cost. A more popular, well-known studio is bound to cost more no matter what type of piercing you're interested in. That's simply supply and demand at work, as top studios often don't even have enough time to take all of the appointments that they'd like to accept. Shops in high-traffic areas, such as shopping malls or busy shopping areas, are also likely to have higher prices due to the higher business costs they have each month. Other factors that can influence the cost of your tragus piercing include whether the body piercer uses a gun or needle. However, you should certainly research each method and determine which one you're more comfortable with instead of choosing a method that's less reliable to save a few dollars. Your choice of starting jewelry can lead to a much different overall price. Fortunately, you'll see the prices of available jewelry before you make a decision. Also, extra purchases such as additional jewelry or studio-sold aftercare products will lead to a higher overall cost. Before we discuss average costs for tragus piercings, here's a word to the wise. It can be tempting to simply call around and get the lowest price for a tragus piercing, then book an appointment with that piercer. However, this is definitely not the best way to go about selecting a piercer. 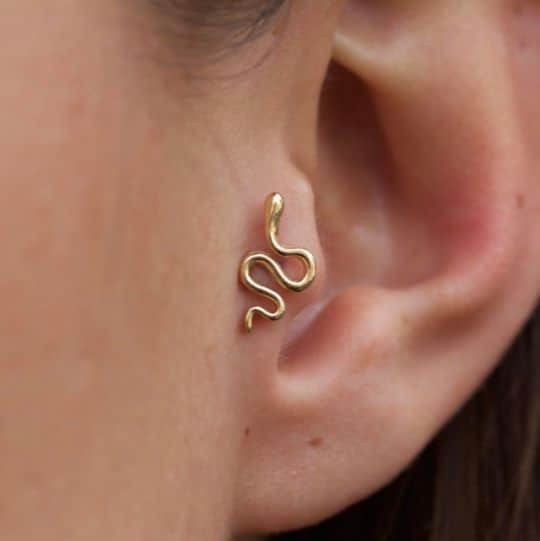 Consider how you'll feel walking into a studio and knowing that instead of selecting the most qualified piercer, you went with someone just because they'd do it for a lower price. While there are some capable body piercers that offer low prices, in general you will get what you pay for. Inexpensive body piercers generally work for lower prices because they have less experience. This can sometimes lead to poor placement or a badly done piercing that gets infected or leads to complications later on. Inexperienced workers can also cause more tragus piercing pain during the procedure. Another area where you don't want to get too cheap is starter jewelry. Don't skimp on a quality piece of hypoallergenic starter jewelry, which will be key as you try to keep the area clean and infection-free. Remember, you don't really save by going cheap if it simply means you have to get the piercing re-done later on! You're much better off getting it done right the first time. Nine times out of ten, that's going to mean paying a little bit more for someone that has a lot of experience and can perform the piercing properly. Tragus piercings can have a wide range of costs. You may be able to find someone that will do a tragus piercing for as little as $15. Other body piercers may charge as much as $55 to do it for you. A lot of it depends on the experience level of the piercer, popularity and location of the studio, and other factors that we talked about earlier. Keep in mind that these average prices do not include the cost of starter jewelry, which could range from several dollars to upwards of $50 to $60. The cost of the jewelry largely depends on price markups, your choice of materials and where you get your jewelry from, although most people don't tend to start off with anything too extravagant. A little discount shopping can make a big difference when you're in the market for a tragus piercing, especially if you're a budget-conscious shopper. Body piercing studios understand that their customers like to get a fair price, and they will often run promotions that can help you save money, especially if you're patient enough to wait a bit for a good deal. Keep your eye out in local shops/ parlors for special deals, such as buy one piercing , get one free. If you have something else you'd like to get done in addition to your tragus piercing, this could help you save some money. Don't be afraid to ask local studios if they offer student discounts or even military discounts, if either would apply to you. Some studios will also re-pierce old piercings that have closed up for you at a slightly lesser cost. You can also ask if there are any new deals on starter jewelry, which can bring your initial costs down. After reading this, you are definitely more equipped to make an informed decision on what you should be willing to pay for a tragus piercing. You've learned about not only the general cost of tragus piercings, but what goes into the fluctuations you might see between different prices, too. Make a smart choice when getting your tragus piercing done and you'll be off to a great start. Remember that quality is always extremely important, and being comfortable with your choice is certainly invaluable, as well. How much a tragus piercing costs is quite rightly very important to most people; but remember, a very cheap piercing will likely turn out to produce very poor results - and always keep this in mind. Best of luck!